Ready to learn some beginner yoga postures? Let’s get started. Yoga offers tremendous possibilities, but it also demands discipline and precision. Improper yoga could cause more harm than benefit. 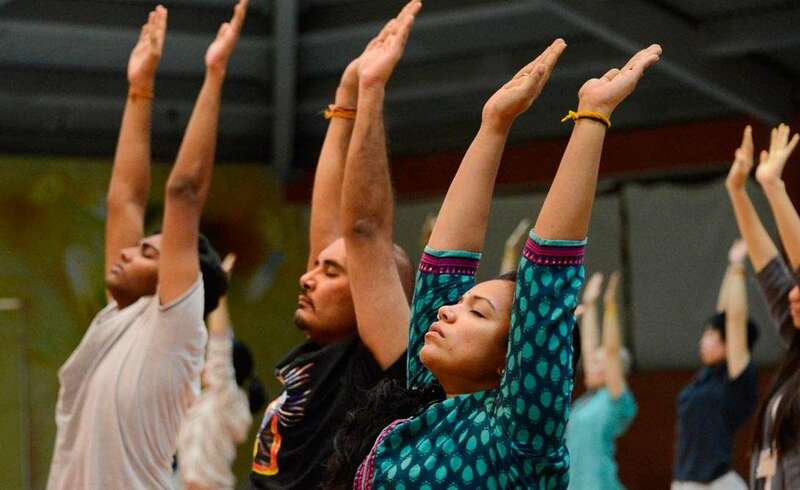 Those looking for basic yoga asanas, may want to begin with what is called Upa Yoga (literally pre-yoga) which comprises of easy yoga postures for beginners that give you physical and mental benefits. Learn Upa Yoga – 5-minute practices of your choice. These beginner yoga postures are potent tools to enhance health, joy, peace, love, success and inner exploration, helping one cope with the hectic pace of modern life and realize their full potential in all spheres of life. For those who have the focus and commitment to venture into yoga, the best way is to learn is by attending an Isha Hatha Yoga program near you. These programs offer a variety of powerful and beneficial classical yoga practices taught with dedication and care by certified Isha Hatha Yoga teachers. Find a Yoga Teacher or Isha Hatha Yoga Program.